Sometimes there is a need for a lot of performance in a small space. 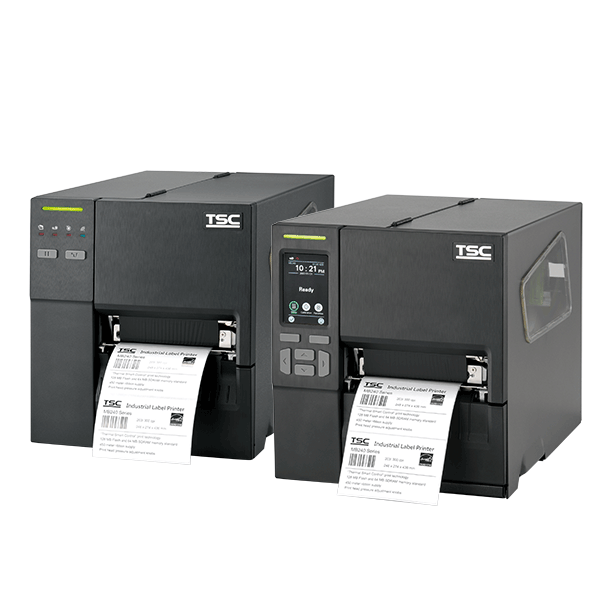 The new industrial label printers of the MB240 Series from TSC are precisely pre-destined for such instances. With robust metal housing and a printing mechanism made of injection molding, the printers are protected against everything that hard industry, logistics and the transportation day-to-day confronts them with. On the side there is a view window to quickly let users see how much remaining label stock there is. The MB240 and MB240T print at 203 dpi, the MB340 and MB340T at an impressive 300 dpi. The MB240T and MB340T are also equipped with a color 3.5'' touch display – for simple handling and quick diagnosis. Upon request, the series may be comprehensively expanded, such as with peel-off kits for removing labels from the backing material, with internal WLAN and Bluetooth modules and with a guillotine for separating printed labels. Order the MB240 Series from TSC now with your sales representative: call us today!